Actionable Tips to Improve Web Performance with Rails — Based on a talk from Wroclove.rb, the tools and tricks listed here will result in better Rails and general Web performance. ▶ The Future of Rails 6: Scalable by Default — Is Rails ‘Fisher Price infrastructure’ or can it scale? It can, but it’s not as easy as it should be yet. This talk looks at efforts being made to make Rails 6 the most scalable version ever. Ultra-fast Hosting for Ruby Apps with Predictable Pricing — Spin up Ruby cloud servers with industry leading price-performance and predictable costs. 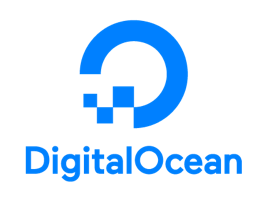 Try DigitalOcean with a $100 credit. Pagy: The 'Ultimate' Pagination Ruby Gem — Works with all Rack-based frameworks, is storage/ORM agnostic, and boasts that it outperforms other similar libraries in benchmarks. Building an API Client Using the Builder Pattern — Using immutability and a fluent interface can lead to an expressive API that is a joy to use. Ryan Davis on Asking for Help for Contributing to Ruby — Ryan formed Seattle.rb, created minitest, ruby_parser, hoe, and more, and is exploring the idea of being supported in his efforts via Patreon. RubyGems 2.7.7 Released — It’s a very minor bugfix release. The Moment Ruby Became 'Ruby' — A chat log from 25 years ago reveals all. ▶ Use Beautiful Binary Literals in Ruby — Avdi has made this (very first) episode of his Ruby Tapas series free. Do We Need Dependency Injection in Ruby? — By way of a simple example. Lead Full Stack Engineer — We're a fashion startup growing at break-neck speed looking for a Ruby and Elixir star to lead our stellar dev team. Full Stack Engineer - Build Software That Save Lives — Build software that makes police responses safer to 911 calls for those experiencing mental health issues, chemical dependencies, and homelessness. Ruby 2.5 Added Lazy Proc Allocation for Block Parameters — This can mean faster performance with less memory. Separating Data and Code in Rails Architecture — The importance of stateless code grows in importance compared to object-oriented principles as an application gets larger. Securing Dependencies for Rails 5.2 Active Storage — How Heroku vetted the FFmpeg package by considering project response to issues and the ability to roll their own static binary. Feature Tests vs. Integration Tests vs. Unit Tests — A high-level Rails-centric explanation. ▶ Realtime SSH Logs with ActionCable — Streaming realtime progress to the browser is easy with ActionCable. Monitoring SSL Certificate Expiry with Ruby — A little Ruby script to monitor sites and send notifications for expiring SSL certs. Introducing Stealth, a Framework for Conversational Voice and Chatbots — Stealth pulls in many concepts from Rails and is deployable anywhere. SimpleForm: Forms Made Easy for Rails — Aims for flexibility so you can lay out a form exactly as you like. Uses a DSL inherited from Formtastic.